The Auschwitz Institute for Peace and Reconciliation (AIPR) marks the observance of May 29 as the International Day of United Nations Peacekeepers. 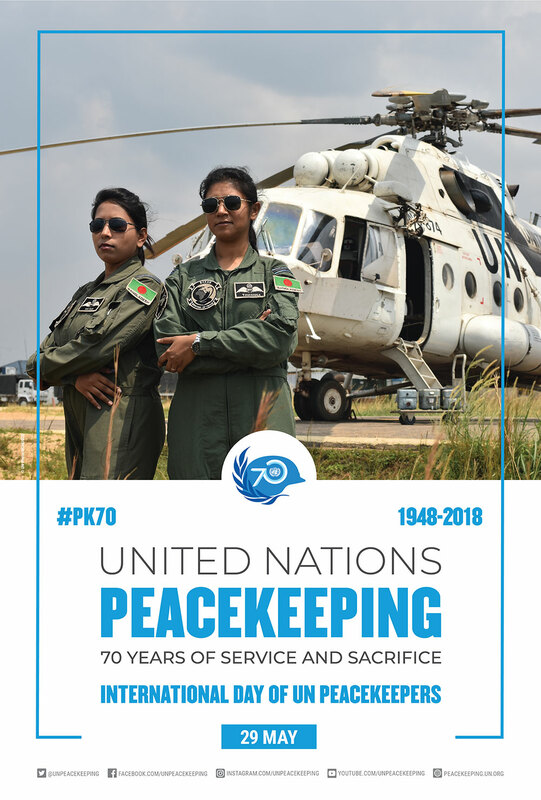 2018 represents the 70th anniversary of the UN Peacekeeping initiative, with the first mission having commenced on this day in 1948 with the United Nations Truce Supervision Organization (UNTSO) deploying to monitor the ceasefire and armistice signed between Israel, Egypt, Lebanon, Jordan, and Syria. Since that time, UN Peacekeeping efforts have proliferated around the world. The annual commemorative date for UN Peacekeepers was established by the UN General Assembly in 2003 through A/RES/57/129 in order to honor the memory of Peacekeepers who have lost their lives in the pursuit and preservation of peace. Since the UN officially began its operations in 1948, more than 3,700 Peacekeepers have perished in service to the international community. In 2017, 134 Peacekeepers perished while performing their duties. The international day also serves to pay tribute to current and former peacekeepers for the professionalism, dedication and courage they display in the protection of civilians around the world. The United Nations Peacekeeping operations currently maintain a force of more than 100,000 military, police and civilian personnel who are assigned to 14 peacekeeping operations around the globe. 2018 also marked the conclusion of the United Nations Mission in Liberia (UNMIL), which ended in late March of this year and represents the 57th completed UN Peacekeeping operation. As we recognize a legacy of service and sacrifice around the world, I am also committed to taking action for peacekeeping — action to make our operations safer and more effective in today’s challenging environments. We also are committed to reinforcing the important role our forces must play in promoting human rights and addressing sexual exploitation and abuse. The Auschwitz Institute for Peace and Reconciliation honors the incredible sacrifice made by each of the individuals who have perished in their duties as United Nations Peacekeepers as well as those currently deployed to ongoing missions around the world. AIPR also recognizes the value of the contribution made by UN Peacekeeping missions to promoting and facilitating peaceful transitions in post-conflict societies through the protection of civilians and their human rights, assistance in demilitarization and reintegration efforts, and the restoration of the rule of law. These measures work to diminish and prevent future violence while constructing a foundation for durable peace.